GM diet day 4 brings about 1.7 kg of weight loss for me. 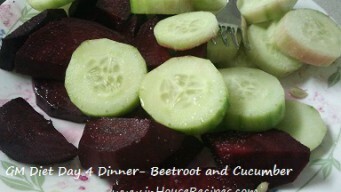 Vegetable soup recipe is handy again and its going to be Banana Smoothie with Skim milk today. I am happy to have covered half the battle in a decent manner. 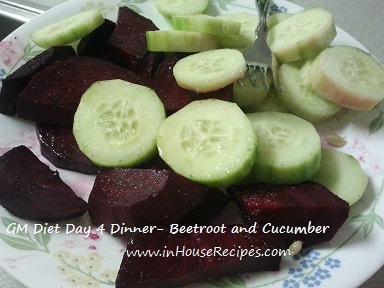 Its GM diet day 4 and I am feeling lighter from inside. No cravings for food. Headache has gone after good amount of sleep again. I am starting my day with 2 glasses of plain water and 2 Banana. The sweetness craving has also vanished. I did not feel anything while eating Banana. This gives me a feeling that I am on right track. 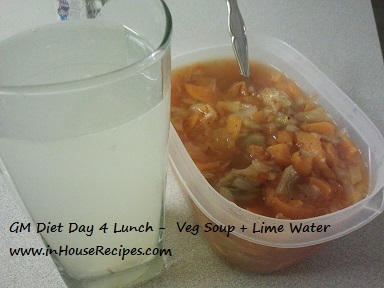 1 Medium size bowl of vegetable soup with 1 glass of Lime water (No sugar and no Salt added). 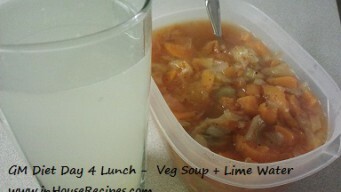 1 Carrot, 1.5 Tomato, 1/4 Cabbage, 5 mushrooms, 1 cup water. 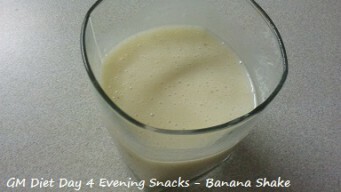 1 cup Banana shake (1 Banana + 1/4 cup milk). 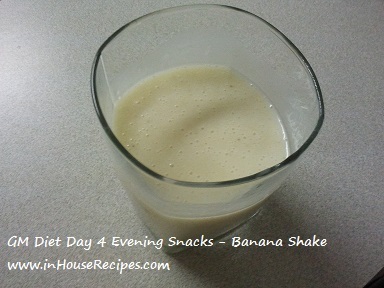 You just need to add banana and milk to a blender and blend until it turns to liquid. Note, no sugar to be added. I could not resist myself and finally checked my weight today. It has only gone down by 3.7 pounds (1.7 kgs) by the end of GM diet Day 4.Not sure if this is because of less exercise or something else. But, this certainly is giving me an opportunity to make some improvements in the next three days. Also, 1.7 Kgs is not a bad figure when I have heard many people loosing only 1/2 kgs in first 4 days. I can still consider myself lucky. As noted in Day 3 analysis, I think only about 20% of this total weight loss is FAT loss. rest all is water weight that has gone down. To add some motivation, Day 5 is a protein day and high protein and less carbohydrate combination is known for reducing fat faster than anything. I hope that end of Day 5 will bring in happiness on my face!! It is advised that you drink at-least 3 glasses of skimmed milk (toned milk as called in India). I had only 1/4 cup of milk as an exception. No headache while going to bed today. Again 11 glasses of water today including the lime water glasses. See you on GM diet Day 5.